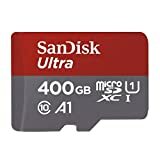 If there was one Black Friday 2018 deal that should have been considered completely unmissable, it was Amazon’s deal on the SanDisk Ultra range of microSD cards. 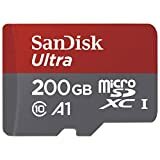 With all of the new gadgets headed your way, you’re definitely going to need new memory cards so why not stock up while they’re on sale at all-time lows? Well, we have good news if you somehow missed out on Black Friday’s deals: SanDisk cards are still on sale at their lowest prices ever! The best-selling card on Black Friday was definitely the one with 128GB of storage for just $19.95, and we fully expect that to be the case again on Cyber Monday. But the biggest stories here might be the 256GB card for just $39.99 and the massive 400GB card at 50% off. What are you waiting for! ?